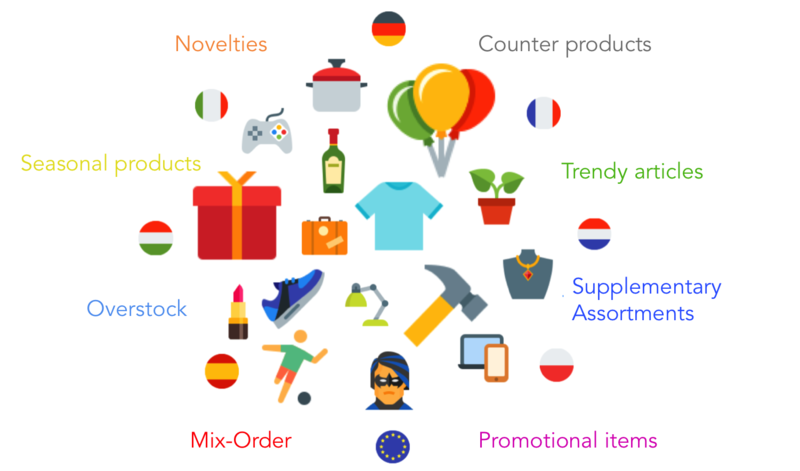 Europe's biggest online wholesale marketplace for consumer goods! zentrada enables you to find new products for your assortment so that you can attract more customers. The best thing? All goods come from within the EU so there are no additional import fees. You'll get access to top products from top suppliers all from one place. Join for free and extend or compliment your assortment! 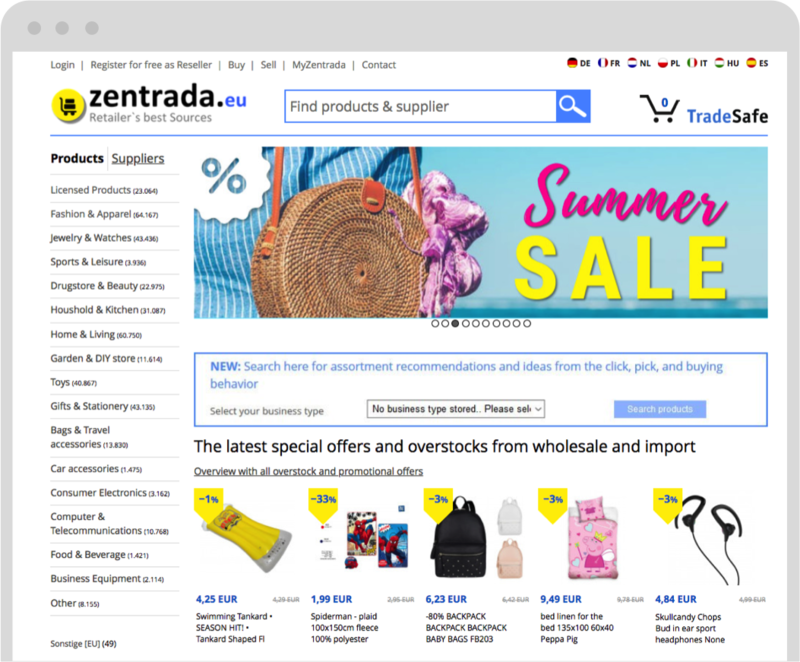 Access the zentrada online marketplace, assortments of Europe´s leading suppliers, and free TradeSafe order and payment processing with one login. How to trust new suppliers? With TradeSafe of course. TradeSafe makes sure all orders are 100% protected. It means that damaged goods, no or late shipments, missing goods or labels will not be a problem anymore. Instead, you can focus on your customers. You receive a binding offer based on your shopping cart. It includes the total costs, tax treatments, and delivery time - ready to order through TradeSafe. 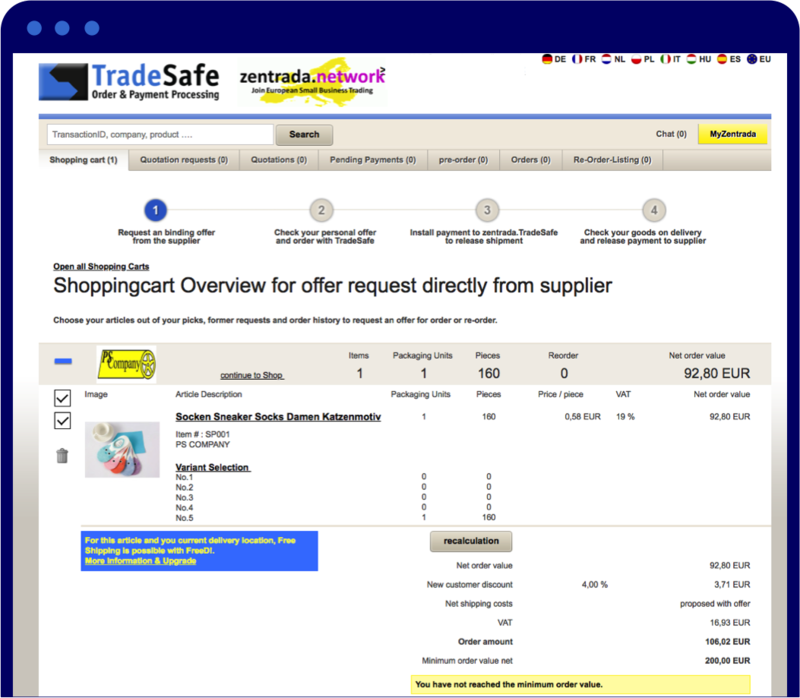 You don´t pay to the supplier directly, but to the central order processing of TradeSafe. Many local partners and providers ensure fast and safe payments. 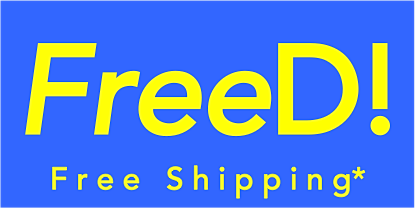 Order safely across Europe with TradeSafe order, payment, and propblem processing as well as customer service in English and 7 other languages. Mix products from different suppliers. Just one minimum order value. Upgrade to our unique shipping flat rate. 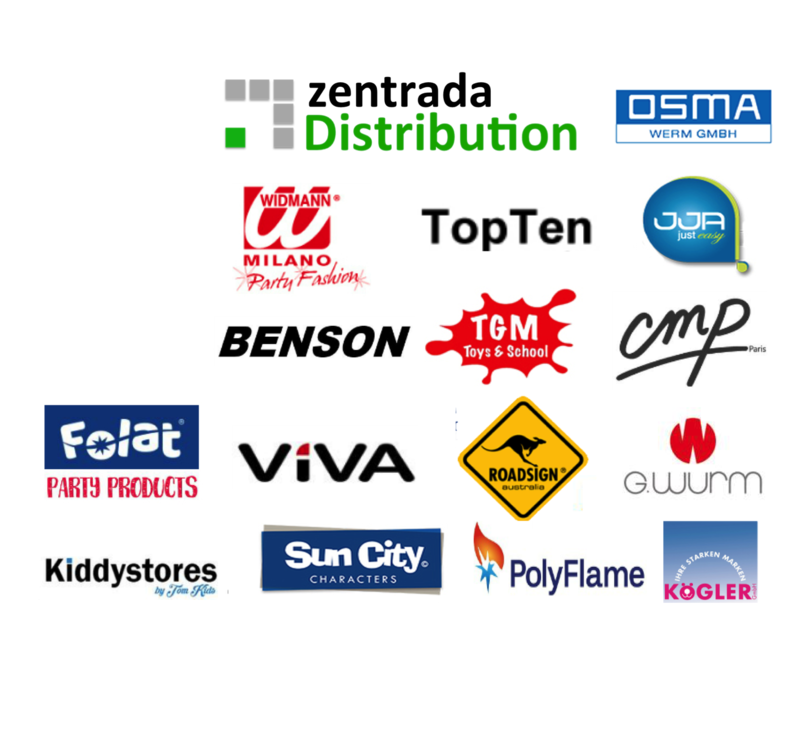 Save money on sourcing and shipping with all participating suppliers.